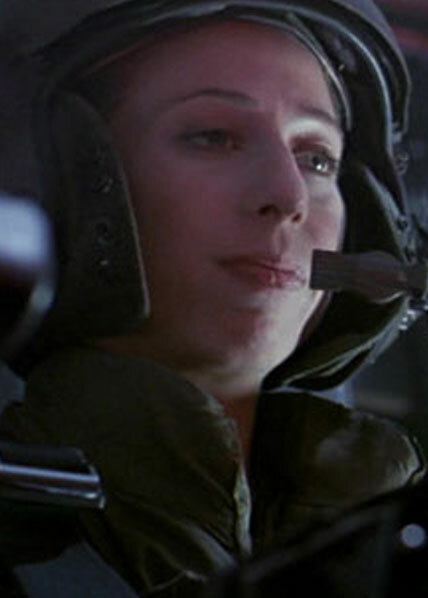 Ferro was the dropship pilot for the Marines sent to LV-426. As most military pilots, her personality was cold and she remained calm under pressure never letting situations get the best of her. She was also one of the most dismissive of RIpley's claims about how dangerous the aliens were. She was killed by an alien en route to picking up the survivors of the first attack at the power station. Her death while at the controls caused the dropship to crash and be destroyed, subsequently stranding the others on the planet. Copyright 2019. All rights reserved. Aliens © 1986 Twentieth Century Fox || Aliens board Game © 1989 Leading Edge Games.